Targeted, ongoing monitoring of high-risk customers for risk factors and unusual activity. Are you seeing the full picture of your high-risk customers? The required ongoing surveillance of your high-risk customers can be a challenging and often manual process, with unusual activity often uncovered through general AML transaction monitoring. By analyzing all customers for risk factors, these first-generation approaches generate large volumes of false positives, creating unnecessary due diligence tasks, and costing valuable time. Verafin’s targeted models provide your institution with powerful ongoing surveillance of high-risk customer accounts within specific high-risk categories. By tailoring analysis to the risk factors posed by specific categories, Verafin improves the quality — and reduces the volume — of alerts for high-risk customers. 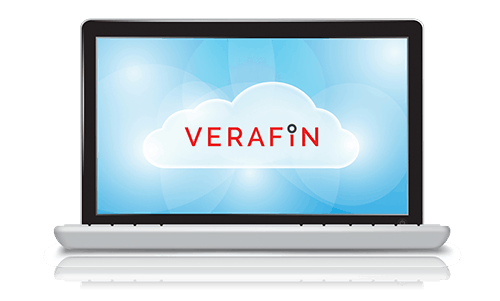 Verafin’s analytics utilize information from across the Verafin Cloud environment to intelligently evolve based on peer data, and alert you to activity that may indicate that additional scrutiny or adjustments to risk profile are needed. This means that should a customer demonstrate unusual or risky activity, their risk level is automatically updated, so you don’t have to wait for a scheduled review to see this change in behaviour and react to it. Verafin’s targeted analytics monitors the activity of customers in each category for specific risk factors, and alerts investigators when additional scrutiny may be necessary. When new risk factors are added to a customer profile, Verafin automatically adjusts the risk score based on your configurable risk models. Ongoing high-risk customer surveillance in Verafin enhances AML transaction monitoring to alert investigators to customers that may require further scrutiny throughout their customer lifecycle. Targeted models for high-risk customers continuously look for risk factors for their particular category, ensuring that as customers’ activities, products, or services change, investigators can update their risk profile. Surveillance of high-risk customers can help protect your institution from the risk of suspicious activity and money laundering by alerting you to higher-risk or out-of-pattern activity for those customers. Verafin’s EDD workflows integrate seamlessly with ongoing high-risk customer surveillance to ensure you are reviewing the right customers at the right time. You can establish review dates based on your institution’s policies, receive email reminders, assign tasks to other users, and attach relevant findings and documentation — all within Verafin. Risk does not end at account opening. Customers’ activities and services can change over time, and continuous monitoring is a requirement of your customer due diligence process. Ongoing targeted surveillance monitors for the behavior and activity specific to each particular high-risk customer category, alerting investigators to customers that may require enhanced due diligence. A one-size-fits-all approach to risk can lead to too many high-risk customers, and with EDD processes largely disconnected and manual, the result is an inefficient, ineffective and costly CDD program. Verafin streamlines your high-risk customer management process with automated EDD workflows and targeted surveillance of those customers based upon the actual risk that they pose to your institution. By continuously monitoring your high-risk customers for changes in activity, Verafin reduces the time spent on tedious and repetitive due diligence tasks and expedites the review process. Maintaining an accurate risk profile is critical to a strong program. Manual processes make it challenging to ensure that your customer-risk profiles are up to date and in line with your institution’s risk profile. Verafin’s ongoing monitoring detects changes in risk factors, alerts you to activity that may impact risk profiles, and automatically adjusts customer-risk score according to your compliance policies. As risk is monitored and updated, your customer reviews are automatically adjusted according to your configured policies — ensuring you are reviewing the right customers at the right time. Casting a wide net does not enable an efficient, risk-based approach to AML, nor is it effective in identifying truly suspicious activity. Verafin’s targeted surveillance of high-risk customers can help protect your institution from the risk of suspicious activity and money laundering by alerting you to higher-risk or out-of-pattern activity for those customers that pose the greatest risk to your institution. Interested in learning more about Verafin's High-Risk Customer Surveillance Solution?